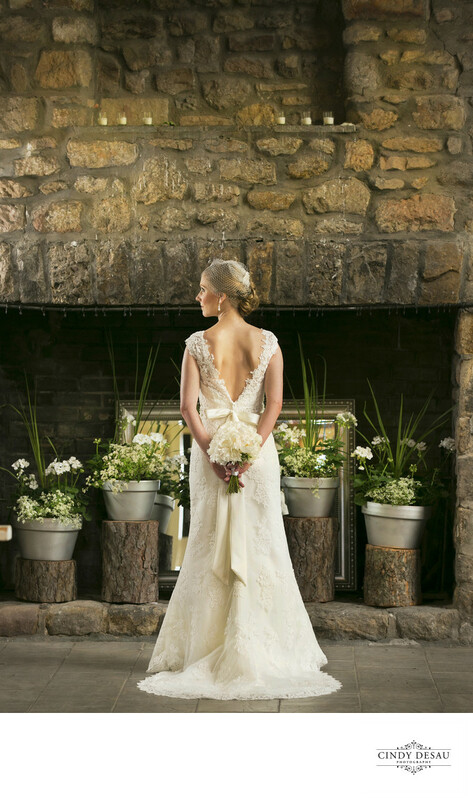 This wedding photograph of a bride in front of the huge stone fireplace in the historic barn at Holly Hedge Estate graced the cover of a bridal magazine. The April issue of County Lines Magazine consisted only of photos by Cindy DeSau Photography for their editorial article on wedding venues. County Lines magazine is the magazine of Chester County. Although none of my 22 photographs that were used for this bridal edition were taken in Chester County, they loved my photographs so much they used them anyway. They just didn’t say they were taken in Bucks County! Now that’s a huge compliment on my wedding photography!